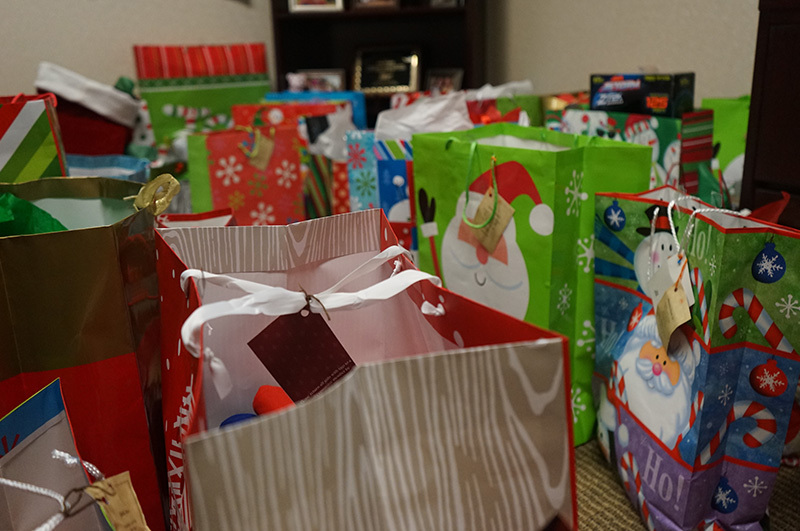 AIT-Chicago renewed an annual holiday tradition for the eighth year in a row with the 2015 SOS Illinois Wish Tree, a program that invites co-workers to procure holiday gifts for children in foster care at the SOS Children’s Village Illinois site located in Chicago’s south side Auburn Gresham neighborhood. This year, gifts were provided not only for 48 kids who are currently living at the local Village, but also for another 20 who were long term SOS Illinois residents, but recently moved back into a permanent family setting. 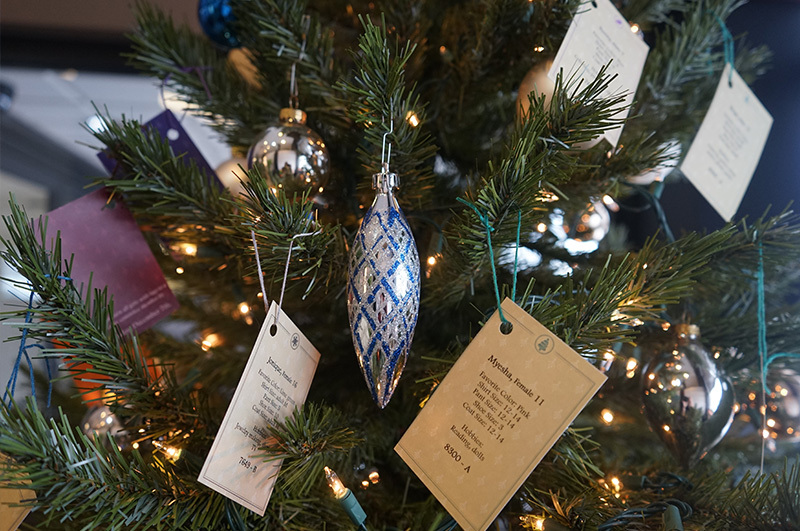 As in years past, each child had personalized tags with their name and age hung on the holiday trees in three of AIT’s Chicago area offices. Co-workers were invited to select tags and shop for gifts for the children based on the individual interests, clothing sizes and favorite colors mentioned on their tags. 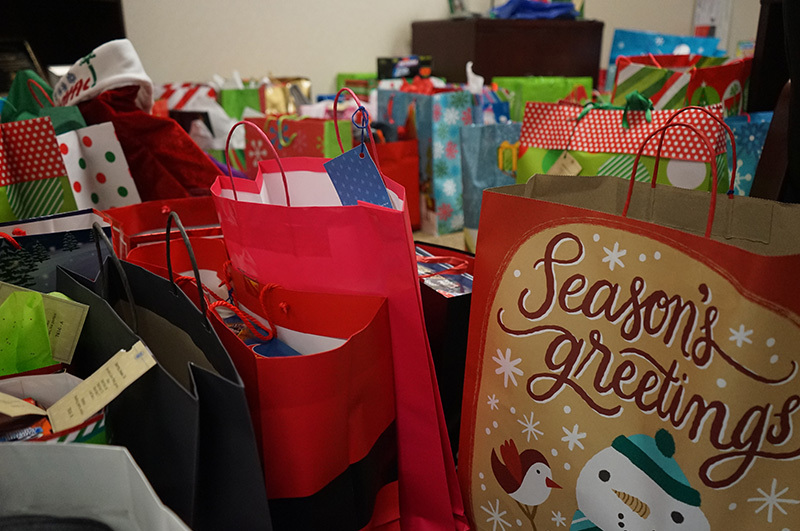 In all, 136 wishes were fulfilled by generous AIT co-workers from all levels of the organization and SOS Illinois children ranging in age from 1 month to 21 years old will have gifts to open this holiday season. AIT wishes to thank all who were involved in this heartwarming AIT Cares effort, especially the individuals who helped to organize the program and worked to ensure that all donations were gathered and delivered on time. More than 518,000 American children are in foster care. Three in four are separated from their siblings and most will live in six or more foster homes during their youth life. The statistics are staggering: once a foster child enters adult life, 40% live on public assistance, 46% never finish high school, 84% face unplanned pregnancies and 25% are homeless at least once. To assist in building a stronger foundation for foster children, SOS Children’s Village Illinois provides a viable alternative to traditional foster care. Many children come to SOS Illinois with merely the clothes on their backs. They are taken out of their current homes by the Department of Child and Family Services (DCFS) without their toy trucks, baby dolls, school bags or beloved blankets. These children are often abused, neglected and/or at risk of abandonment. Children who live at SOS Children's Village Illinois stay with their biological brothers and sisters in a private home - a rarity in foster care. They receive parental guidance from a qualified and professional foster parent. Most often, it is a single parent nurturing the children; however, it is not uncommon to find an SOS Illinois homes headed by married couples. SOS Children’s Village Illinois is part of AIT Cares - an initiative celebrating co-worker efforts to give back to the communities where we live and work.